Three graduate study fellowships are associated with the Schatz Energy Research Center, thanks to generous funding from the Blue Lake Rancheria, Andrea and Donald Tuttle, and the Schatz Center. The Blue Lake Rancheria Fellowship for Clean Energy Studies is funded by the Tribe in honor of legendary local STEM educator, the late Jean Rousseau. The Donald and Andrea Tuttle Fellowship for Clean Energy Studies is funded by Donald and Andrea Tuttle as part of an effort to tackle the challenges posed by climate change and reduce its impacts on humanity and ecosystems. 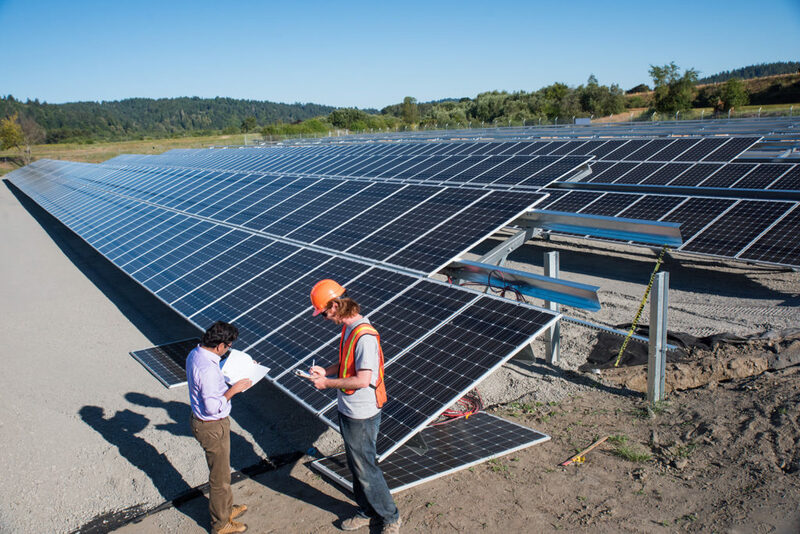 The Schatz Energy Fellowship supports graduate studies in renewable energy and energy efficiency at Humboldt State. Our 2018-19 fellows are Carisse Geronimo, Thalia Quinn, Grishma Raj Dahal, and Anamika Singh. Past fellowship recipients include: Jimento Aikhuele, Ranjit Deshmukh, Meg Harper, Asif Hassan, Billy Karis, Brendon Mendonca, Tirian Mink, Steven Shoemaker, Pramod Singh, and Nick Turman-Bryant. intend to research or conduct project work in renewable energy, energy efficiency, or related areas in the clean energy field. Students who receive substantial grant or scholarship funding (more than $15,000 per year) from another source are not eligible for fellowships. Fellowship awards may be renewed for a second year of study, at the discretion of the selection committee. All Environmental Systems: ERE & ETaP pathway applicants who indicate an interest in energy systems are automatically considered for the three clean energy fellowships. In your graduate application essay, please discuss the line of research or project work that you propose to pursue at HSU, and how your prior studies and experience have prepared you for this pursuit. The fellowship selection committee will consider prior academic performance, work experience, areas of interest, communication skills (especially as exhibited in the statement of purpose essay), and other factors that indicate strong potential to succeed. HSU graduate program applications are due by February 1 for fall enrollment. Fellowship recipients will be notified by April 15. Current fellows who wish to apply for second year funding must submit first semester transcripts and a cover letter, not to exceed 500 words, that describes first semester research or project work accomplishments and a proposal for the second year. These materials should be submitted electronically to serc@humboldt.edu. The deadline for second year applicants is also February 1, and applicants will be notified by March 15.